AMD looks set to release their eagerly awaited next generation of Radeons next week, with CEO Dirk Meyer confirming in an earnings call that the latest graphics card would be arriving. Meyer was quoted by Anandtech as saying that the wait for the new DX11 cards would be days away. "We will be launching our second-generation DX11 graphics offerings next week," said Meyer. 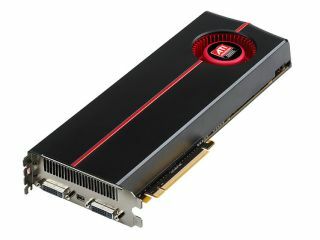 The 5000 series has been a massive hit for AMD – as being the first DirectX 11 supporting cards pushed the company's offering to a new level. The successors will represent another big push for AMD – which has scrapped the ATI branding of late. "We'll be introducing our second-generation of DX11 technology into the market with some launch activities actually next week," added Meyer. "We'll be shipping all the family members of that product line I'll call it, by the end of this quarter, and total volume think in terms of several hundred thousand, or hundreds of thousands of units."